Then let’s solve some cases! Sometimes a lady just has to take matters into her own hands and investigate the mystery herself, be it a shady spouse, a sinister family secret, or a suspicious death. So here are some of our favorite books featuring girl detectives! Our featured sleuths range from former teen girl detectives to amateur crime-fighting adults, but they’re all tough, dedicated, and intent on justice. 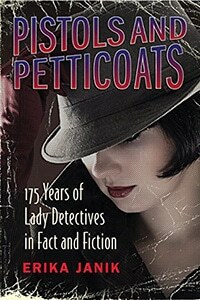 If you’ve always dreamed of donning a trenchcoat and solving cases, you’ll enjoy this nonfiction history of lady detectives both factual and fictional. Did you know there were women detectives as far back as 1910? Well, neither did criminals, which is why Alice Wells was able to blend in, disguise herself, and solve crimes; she wore plain clothes, went unarmed, and carried her police badge in her pocketbook. Women didn’t join the police force as officers for over 70 more years, even though they were popular in the pages of dime-store novels as fictional sleuths. From harmless-looking old ladies like Miss Marple to hard-boiled detectives and medical examiners, lady detectives in books and TV paved the way for women’s opportunities as police officers and real-life detectives. 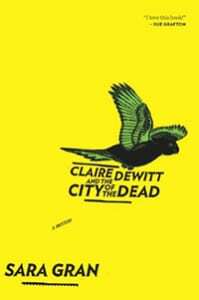 Claire DeWitt is nobody’s hero. 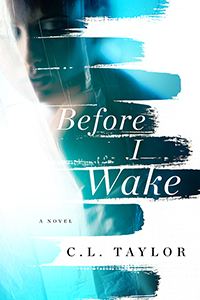 She’s equal parts brilliant and self-sabotaging, haunted by a childhood friend’s disappearance and driven to drink and drugs to escape her demons. Since her youth, she’s found solace and structure in the writings of French detective Jacques Silette and considers herself one of his disciples. When New Orleans assistant district attorney Vic Willing mysteriously disappears in the days after Katrina, his nephew and heir hires Claire to find out what really happened. With a cast of colorful and deeply strange characters, hints of mysticism, and extremely unconventional detecting methods, this story isn’t your typical mystery, but it’s a hell of a lot of fun. The follow-up, Claire DeWitt and the Bohemian Highway, is an equally fun adventure that has Claire delving into her own troubled past when a famous rockstar ex-boyfriend is killed in his own home. The eighth book in this series just came out in September 2016, but you should really start here, at the beginning. In post-WWII England, Flavia de Luce is the precocious, eccentric offspring of a decaying aristocratic family. In a corner of Buckshaw, their crumbling country manor, Flavia conducts experiments in a secret chemical laboratory while her distracted widower father fiddles with his stamp collection and mourns the loss of Flavia’s mother, Harriet. When a mysterious corpse appears in the cucumber patch outside Flavia’s window one morning, though, she discovers a new interest: solving mysteries. 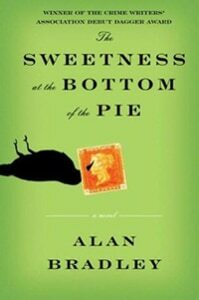 The mystery plot is entertaining enough, but the main attraction of this series is the cozy portrait of rural village life and the bittersweet nostalgia for a world on the brink of massive social and political change — as well as Flavia’s coming-of-age as she moves from carefree child/girl detective to young upper-class woman. Fans of the much-loved and canceled TV show will enjoy this novelization. 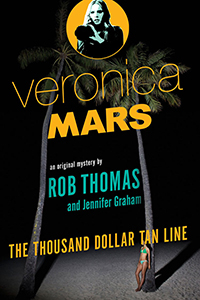 A decade after graduating high school, girl detective Veronica Mars is back in her beachy hometown of Neptune, CA, where obscenely wealthy families live uneasily side-by-side with the working-class people who serve them. Neptune is an infamous spring-break destination, and the drunken festivities lead to trouble when a girl disappears from a wild, lavish house party. Veronica is hired to find the missing girl, but things get complicated when it turns out that the mansion’s owner has ties to a drug cartel… and enough money and political clout to convince Neptune’s corrupt sheriff to look the other way. When a second girl disappears, Veronica discovers an unlikely connection to the victim that makes the case personal. Veronica is smart, courageous, and always ready to fight for justice — but she’s also addicted to danger, a defiant outcast, and prone to self-sabotage. Then again, that’s why we love to follow her adventures, isn’t it? 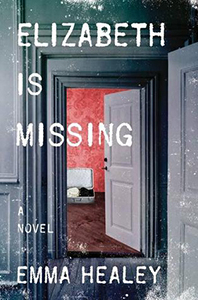 The book’s central mystery is satisfyingly complex, with red herrings and twists that will keep readers guessing. If you’ve never seen the TV show, however, start there first. Read our full review. Susan Jackson seems to have it all: successful politician husband, fancy house, nice kids. But when her teenage daughter Charlotte walks in front of a bus and lands in the hospital in a coma, the cracks in Susan’s picture-perfect life start to show. The bus driver insists that Charlotte stepped deliberately in his path, and an ominous line in her diary about how “keeping this secret is killing me” makes Susan wonder what she doesn’t know about her daughter’s life. Susan throws herself into her own private investigation, causing marital strife. Years after her husband’s extramarital affair caused Susan’s mental breakdown, he’s quick to challenge her mental health and she’s still insecure and suspicious. Is he hiding something that would explain Charlotte’s apparent suicide attempt? Or is Susan sliding back into another breakdown? Full of twists and turns and shifting perspectives, this book is lots of fun if you don’t poke too hard at the plausibility issues. Read our full review.